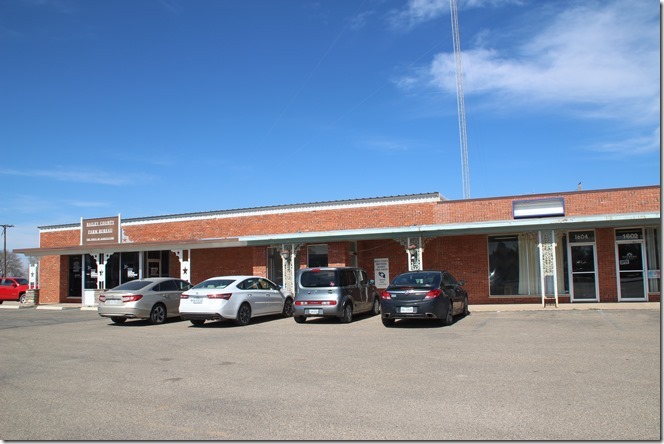 I have shared with you the story of Kay Graves and her contributions to the people of Muleshoe (Kay Graves and a Little Piece of Heaven, February 27, 2019). 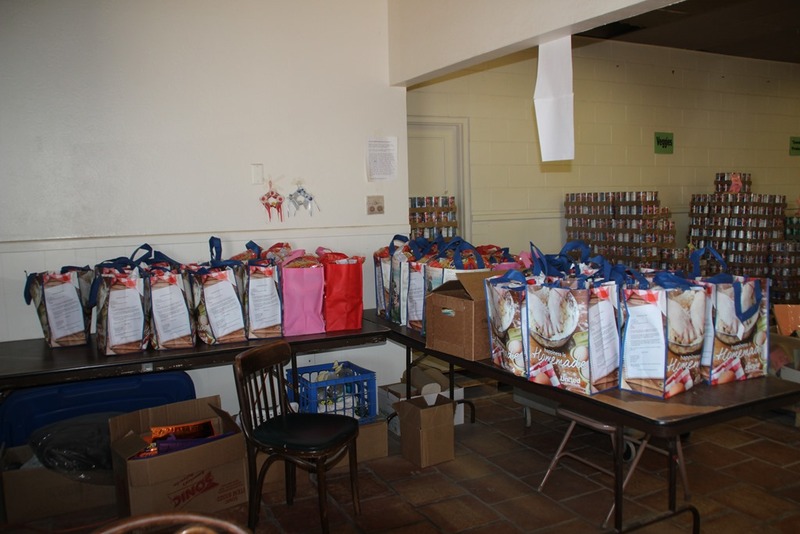 Probably the most lasting and far-reaching service she set in motion, however, was the food pantry. I inquired of many people what aha! moment might have started the wheels turning for Kay to decide Muleshoe needed a food pantry; no one knew. I am guessing that as she volunteered in other ways and saw that some families were struggling, she took it up on herself to work with the Bailey County Ministerial Alliance to get a food pantry started. She and Linda Low, and later Kay Mardis, and others in town, along with support and help from the Ministerial Alliance and Victor Leal, who donated the old Leal’s location, got the job done. The Leal family moved Leal’s Restaurant to its current location on American Boulevard in 1994. Father Sergio Leal’s St. Clement Anglican Church then met in the main dining room side of the original building, and the BCMA food pantry used the smaller dining room off to the side, opening in May of 1998. Then the church congregation moved to its new and still current location on Highway 214 south of town in 2000, which allowed the food pantry to expand into the rest of the building, giving them much more room for a wider variety of food to share. And Kay was there to make sure everything was organized and functioning. Daughter Courtney said Mom was always there doing something. In fact, Courtney remembers Kay was busy making sure shelves were strong enough to hold the food when she called to tell Mom the good news of her engagement. 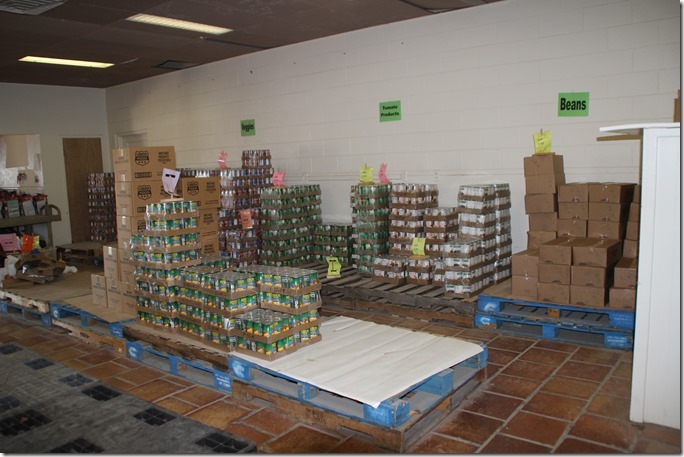 The purpose of the food pantry is to provide supplemental food once a month for families who might need some help. A family of four is given one bag of food per month; a family of five or more receives two bags a month. Families visit the food pantry once a month on their designated Saturday. In the past, home deliveries were made if someone elderly or physically ill was unable to come to the pantry for their supplement, but that is seldom needed now. 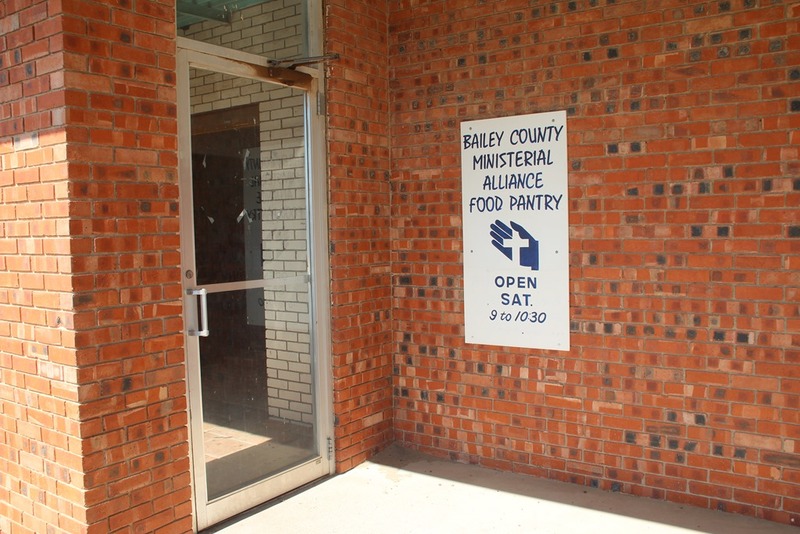 When the BCMA is approached by people traveling through town suffering a hardship or burden and they ask for assistance, the food pantry can provide them with a bag of supplemental food to help them on their way. In the beginning brown paper sacks were used; now the reusable bags available at grocery stores are filled every week by volunteers who come to sack the food and have it ready for that week’s scheduled families. The pantry is not open on a fifth Saturday when a month runs long. 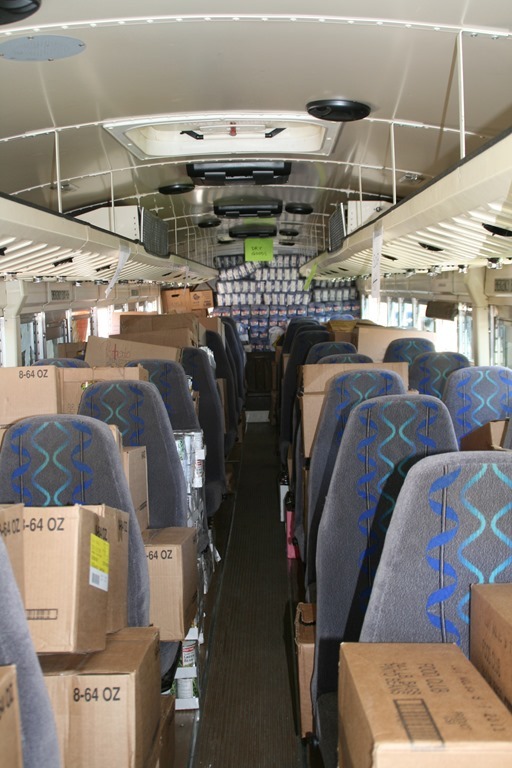 The food that fills those bags comes from local donations of food and money given by individuals and food drives sponsored by groups like the Boy Scouts, local churches, all Muleshoe ISD campuses, and promotions like Stuff the Bus. April Smith purchases additional food from the South Plains Food Bank in Lubbock which they deliver at the first of each month to the pantry. Gary Hooten and I meet the truck. Chuck Smith, Wes Rasco, and other employees from Bailey County Electric help unload and stack the cases of food. They make my job of meeting the truck the easy part! In the beginning Kay tried to be a frugal shopper at the grocery store, but after visiting other food pantries and reaching out to the Amarillo and Lubbock food banks, she found out how much more food the money would buy from them instead of the grocery story, hence the now-monthly truck delivery from Lubbock. 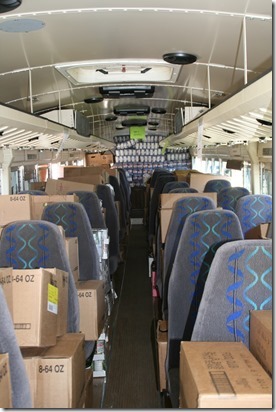 Donations from individuals and food drives, as well as bent cans and discontinued items from United always help fill in the gaps and are always appreciated, but monetary donations are very helpful because April can buy more food in bulk from South Plains as well as sometimes from United. Long before I met the South Plains truck, several volunteers met the truck, including Kay Graves, Kay Mardis, Donna Kirk, Donna Jay, Mike and Jean Richardson, Scott Simmons, and no doubt others I am not aware of. 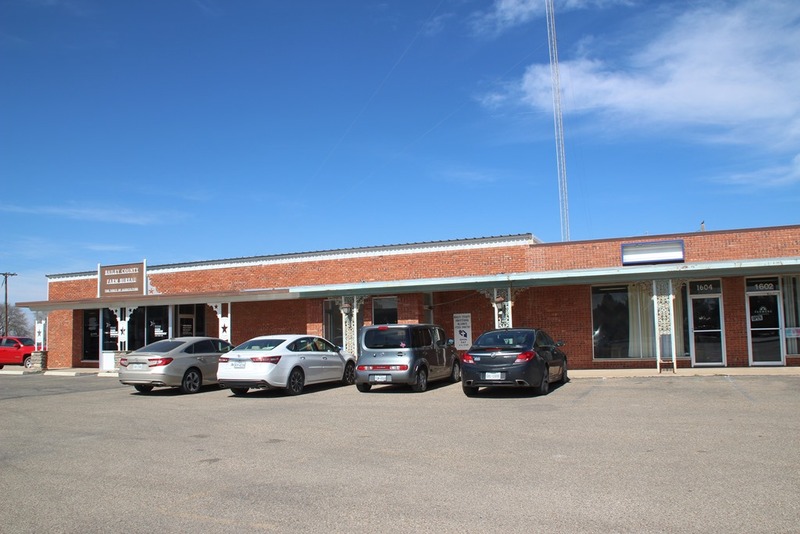 Many times it would be Kay Mardis who would leave her desk at Muleshoe State Bank to run unlock the door and call the police department and they would take care of unloading the order. Bobbie Harrison at the Farm Bureau office next door had a key, and sometimes it would fall to her to meet the truck. April Smith and Chris Mardis, who started helping out around 2000 and have become more involved since then, would take care of meeting the truck in the summers when they weren’t in the classroom. 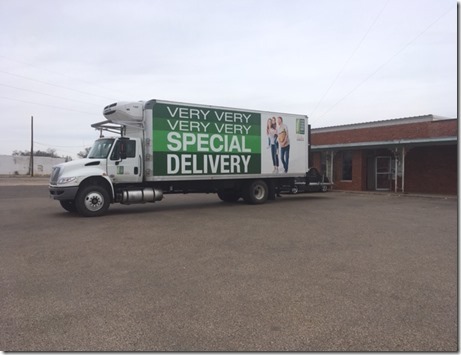 Then when Benji and Donna Jay moved to Muleshoe in 2008, Donna became active with the pantry, and she wound up meeting the truck for many years. Besides meeting the truck regularly, Donna worked many a night at the pantry organizing things to meet the South Plains Food Bank guidelines and standards, as well as attending the SPFB summer conferences as the BCMA Food Pantry representative. 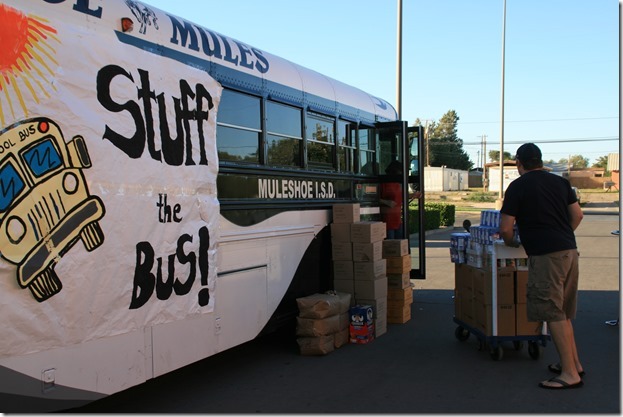 Donna was the mastermind behind the Stuff the Bus campaign which provided a convenient way for people to make food donations by the case right there in the United parking lot where the bus was parked for the day (Muleshoe Knows How to Stuff a Bus, October 20, 2010). I had begun to help out meeting the truck delivery around 2011, but when she and her husband Benji moved in 2015, Gary and I started meeting the truck regularly. It has always been volunteers, just like the men from Bailey County Electric who willingly tote and stack that food the truck brings, the people who come in to stock the shelves and fill the bags, the others who show up on Saturday mornings to distribute those bags, the individuals who donate food and money, students from Muleshoe High School who help out, and people like Kay Graves, and now April Smith, who see to it that hungry families get some help when needed. The food pantry is a one-hundred per-cent volunteer operation, something Muleshoe should be proud of. At Christmas every family receives a larger and more varied box of food for the holidays, with flour and sugar for holiday baking and other seasonal food items. Each family also receives a $10 gift card purchased from United to cover the cost of a turkey or ham for the holiday dinner. At one time, actual turkeys, hams, and even pig heads were offered so families could choose the meat they preferred for their Christmas meal, but anticipating how much of which meats to have available became difficult, and it was decided a gift card would be a better way to provide meat for the holiday meal. Food pantry board members are also volunteers. April Smith orders food and helps with whatever else needs to be done. Chris Mardis does the paperwork, which includes a monthly report to South Plains and keeping client records. Chris and his wife Gina, April and her husband Weldon organize the Christmas distribution. Lynda Washington keeps up with the financial records. And myriad volunteers help out regularly all year and on special occasions to keep things running smoothly. But as you might guess, things don’t always run smoothly. April said she remembers one time in particular that the pantry was down to exactly one can of food. Kay Graves was devastated. But Kay lived on faith and was sure that God would always take care of things, so she began to pray, and prayed hard. 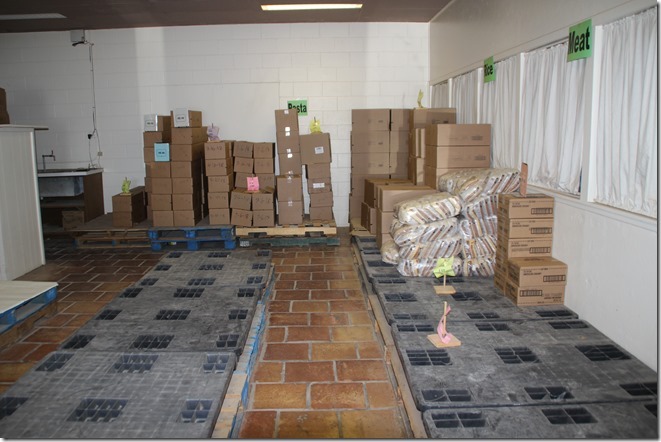 The next week a large monetary donation came in, and the food was there. Then there was the time the two donated freezers chose to go out and the smell of spoiled food took a while to go away. Even after being worked on, no one was there to check the freezers’ temperatures regularly as was required by South Plains, so eventually the freezers had to go. Shelving always has to be reinforced and worked on and in some cases replaced in order to be trustworthy. Pallets that the cases of food have to be stacked on so food doesn’t touch the floor, per South Plains guidelines, wear out and have to be replaced occasionally. The roof has suffered wind damage from time to time. Kenneth King sees to it the pantry is sprayed regularly for bugs and varmints.The city has helped by patching pot holes in the parking lot from time to time. But one thing can always be counted on to keep things going-the volunteers who always manage to show up when needed. Take the Mules 2000 football season, for example, when pretty much the whole town traveled to Dallas to watch the semi-final state playoff game in Dallas with Forney, but volunteers made it home in time and showed up to hand out the Christmas boxes right on schedule. Food drives still provide food. 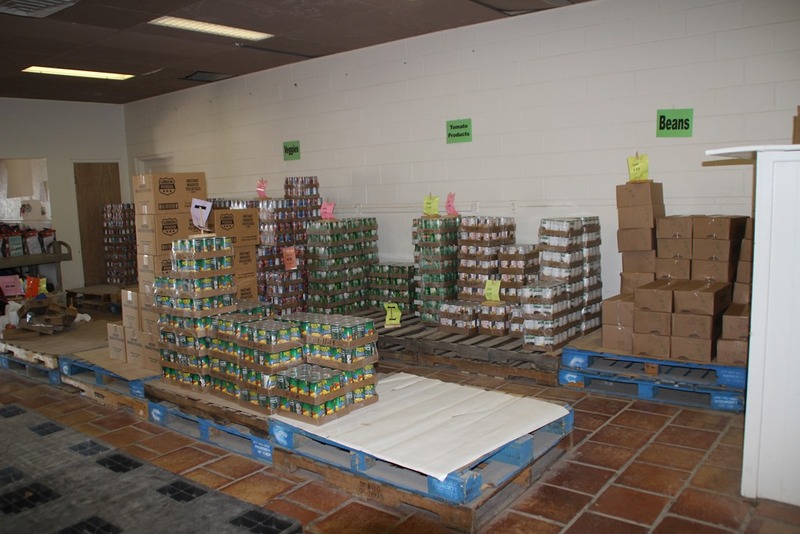 Local businesses and churches make donations of both food and money. 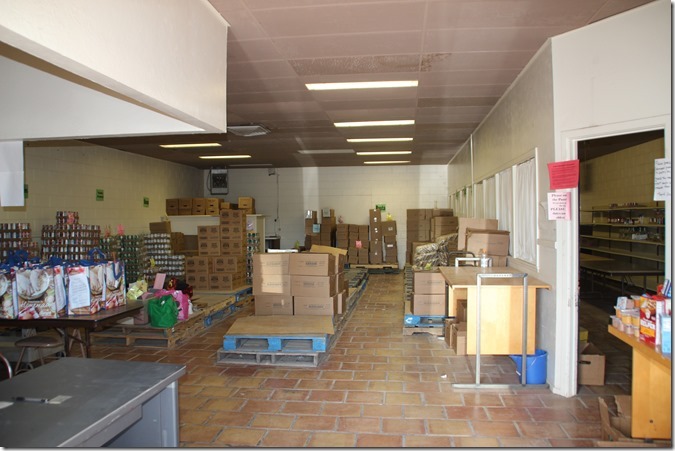 Even the city of Muleshoe allows for voluntary employee payroll deductions for the food pantry. The number of families who benefit from the food pantry fluctuates, which is expected, but there is always a need for the pantry to be there to help out in times of stress. This past Christmas one hundred and ten boxes were picked up, down from previous years. Seventy-five or so bags used to be given out each Saturday; now it tends to be 30-40 each Saturday. So while some families are no longer in need of a boost with groceries, others still benefit from the extra help the food pantry provides. 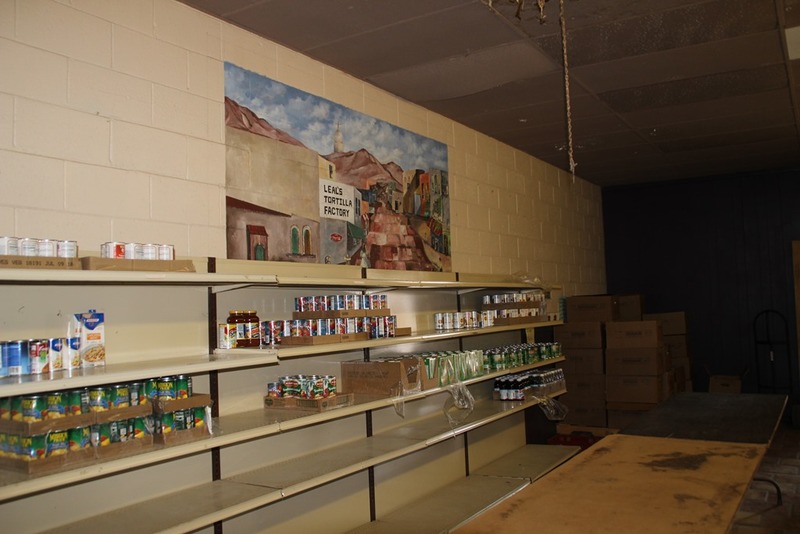 Since the pantry has always functioned on donations and volunteer labor, it’s amazing how long it has lasted as a self-sufficient entity, and that is thanks to the generosity of the people in Muleshoe. How can you help that to continue? Money and food donations are always welcome. Replacing the reusable bags is helpful. Donating the occasional pallet fills a need. Donating your time as a volunteer? For more information on how you can help, contact April Smith at 806-632-5732, or just show up on Saturday morning at the pantry. Thanks to April Smith, Kay Mardis, Dana Rasco, Sergio Leal, LeAnn Gallman, Courtney Milleson, and Donna Kirk for their help with this article.